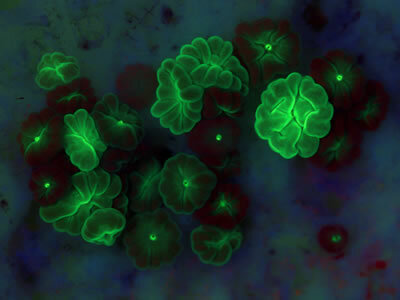 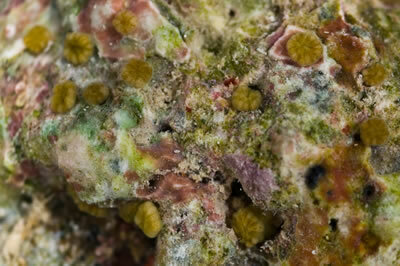 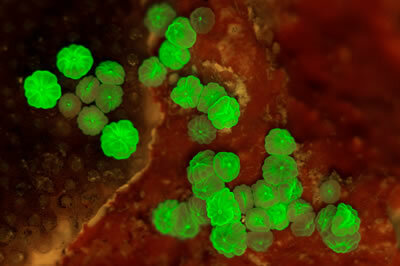 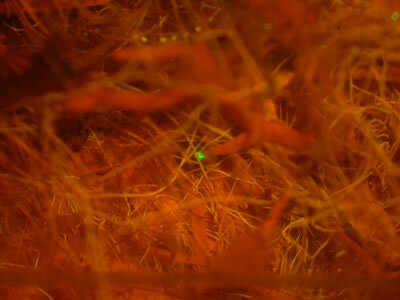 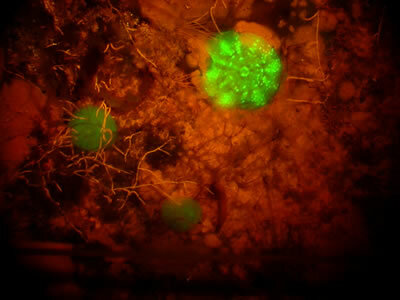 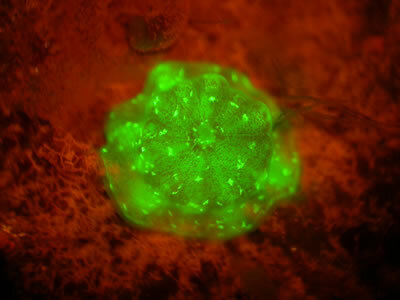 Fluorescence is a valuable tool for coral recruitment research and one of the ways to apply it is to use a stereo microscope to examine corals on settlement tiles or other surfaces. 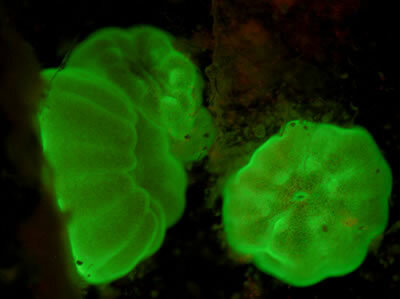 The NIGHTSEA Stereo Microscope Fluorescence Adapter is an economical system that adds fluorescence capability to existing stereo microscopes for under $1,000. 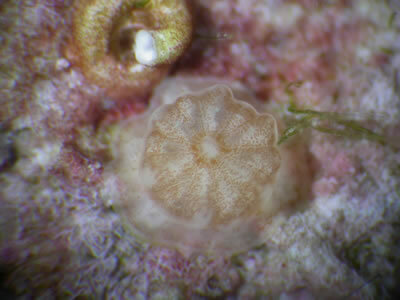 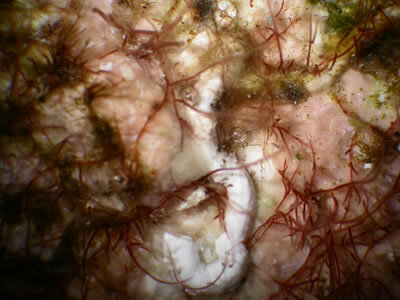 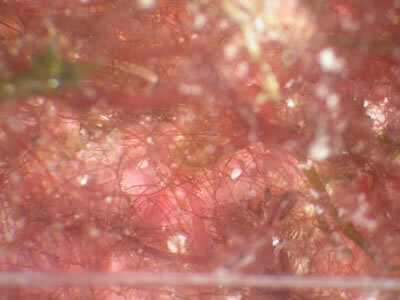 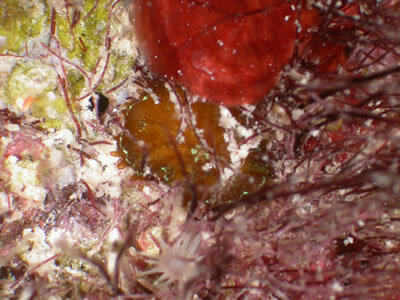 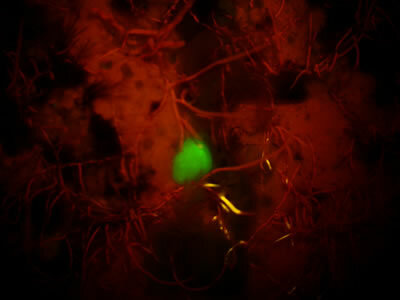 The images below are coral polyps viewed through a stereo microscope. 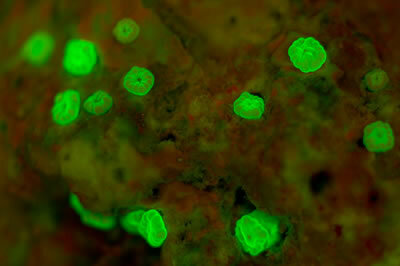 The first ten are pairs of white-light (left) and fluorescence (right) images of the same area on settlement tiles. 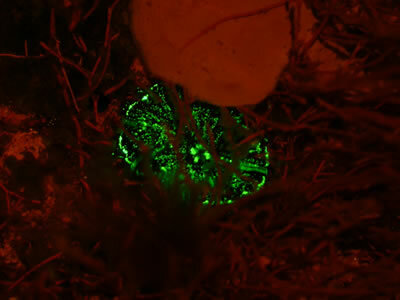 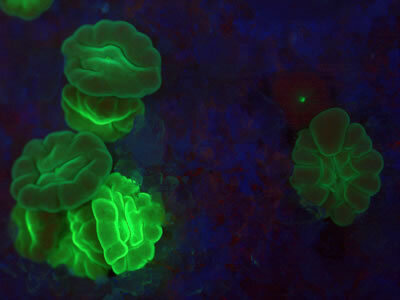 These were made by Dr. Alina Szmant (UNCW) during a research project with NIGHTSEA’s Charles Mazel to develop fluorescence tools for coral recruitment research. 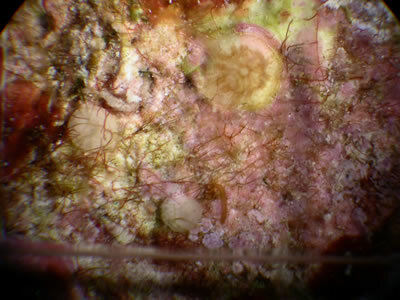 The next five images were made by Wade Cooper as part of his research at Rosenstiel School of Marine & Atmospheric Science, while the last was made by a researcher who wishes to remain uncredited.